In honor of World Cancer Day, we wanted to highlight one of our very own who works closely with cancer patients. Robyn Tiger is a Warriors at Ease Certified Teacher who is passionate about serving the cancer patient population. Below is our interview Robyn on how she got into yoga and why she serves this population today. WAE: How did you get into yoga and teaching yoga? Robyn Tiger: Several years back, my life seemed like one big, difficult juggle of family, medical practice, community responsibilities and everything else that I said “yes” to. My mind was constantly racing. I developed reflux, tinnitus, and intermittent pain and numbness in different parts of my body. My “doctor mind” came up with many scary reasons for all of my “ailments.” Although I was an avid gym goer, I also knew that my self-care was lacking and I needed more than just physical fitness. An important piece of the puzzle was missing in my life and it was something I never learned in medical school — but what was it? Yoga kept popping up in the media, research papers and local advertisements. I wondered what this “yoga” was all about. Finally, I made a New Year’s resolution to think outside the box, go out of my comfort zone, and take a local beginner yoga series. For the first time in my life, I experienced a deep sense of inner calm and stillness — an extreme undoing. With more practice, I began to notice a remarkable change in my ability to respond, not react, and be present with whatever situation arose. I also noticed that my “medical ailments” disappeared when I kept up with my yoga practice and reappeared when I didn’t. I came to understand firsthand the incredible power of stress on the body and mind. I knew I had to share what I learned with others. 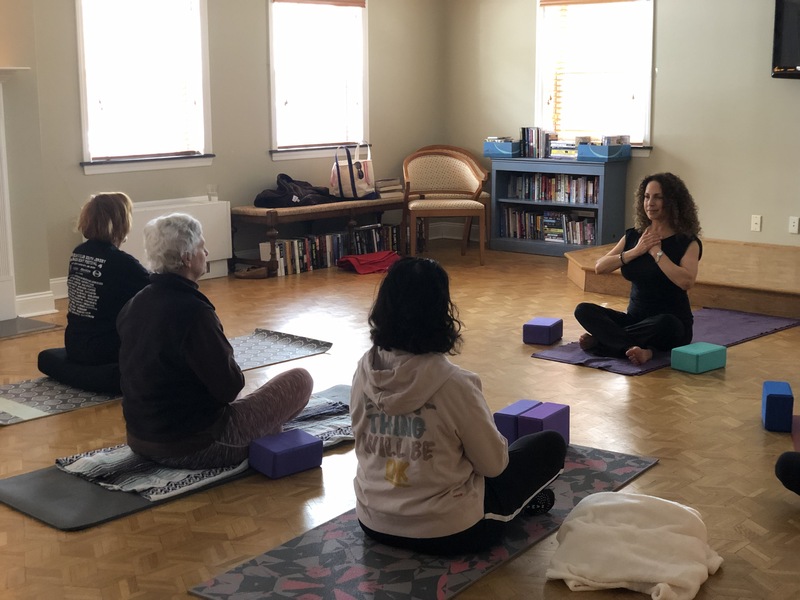 My scientifically trained mind needed to unwrap the mystifying impact of yoga at a deeper, fact-based level and I began my studies in yoga teacher training and continued my studies in yoga therapy. WAE: Once you became an instructor, what drew you to working in cancer recovery? Robyn Tiger: Although treatments like surgery, chemotherapy, and radiation are wonderful for treating cancer, they frequently result in physical limitations, emotional distress, and dampened spirits. As a Diagnostic Radiologist, I spent many years witnessing my patients with cancer develop these debilitating changes firsthand, and I realized that there was a large portion of their care that was missing. For years, other than giving patients a hug and a smile, I was completely lost as to how to help them heal. They would thank me for saving their lives, write me letters and send gifts, and yet I would leave work feeling completely empty, wanting to do more. I knew that my job as a doctor was not nearly complete and that I needed to help fill the gap in their care. 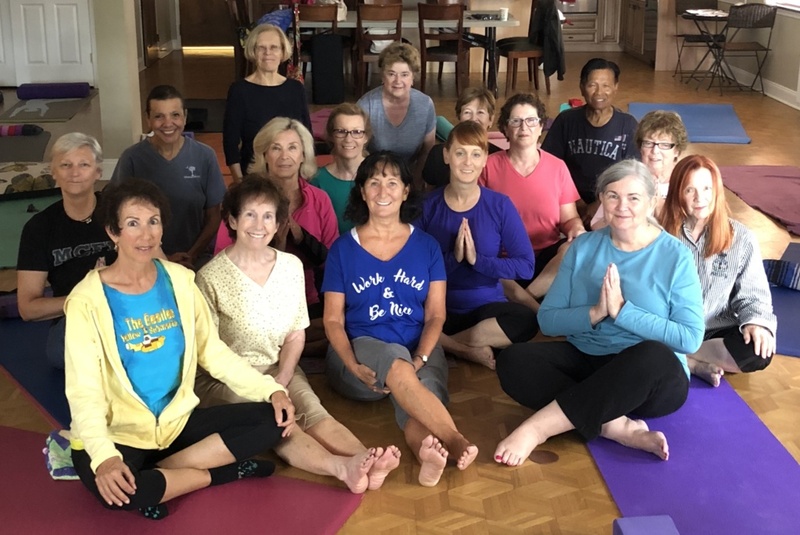 WAE: Why do you think yoga is beneficial for cancer recovery? 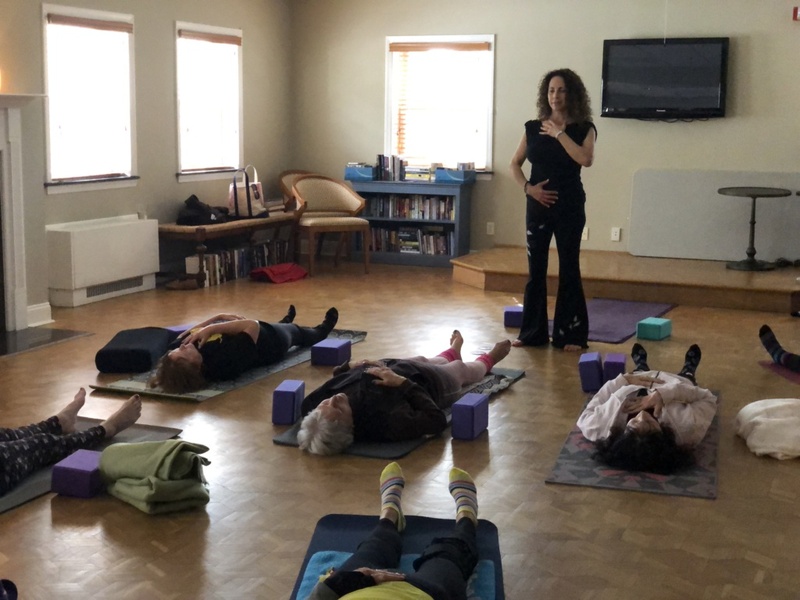 Robyn Tiger: Numerous research studies have proven that yoga practices can safely and effectively diminish the many side effects of cancer therapies when appropriately tailored to the needs of this population. I recently developed the protocol for two soon to be published pilot studies evaluating the effectiveness of yoga and meditation on CIPN (Chemotherapy-Induced Peripheral Neuropathy–pain, numbness and tingling in the hands and feet) with several positive results. 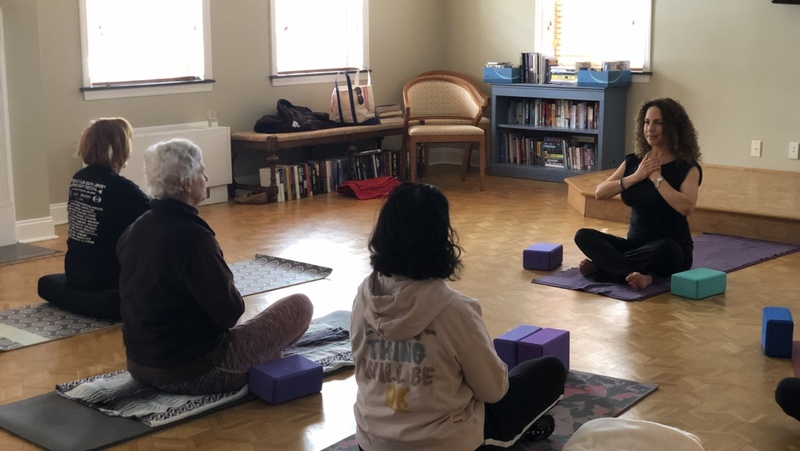 Additionally, I’m continually amazed by the transformative healing powers of yoga and meditation in both my group classes and private sessions. In many ways, I feel that I’m more of a doctor now than I ever was before in my ability to educate individuals in how to heal and empower themselves. WAE: What is the impact you’ve seen on being a veteran with cancer? Some of the people Robyn serves. WAE: If people are interested in getting more involved with supporting cancer patients/survivors with yoga, how can they get involved? Robyn Tiger: Cancer is so very prevalent and we need as many informed caring teachers as we can get to support this population! As with any specialized group, it’s important for anyone interested to educate themselves first in how to teach safely and effectively. I would recommend both Tari Prinster’s Yoga for Cancer training and book which can be found on https://y4c.com/.